Users love it because of its anatomical design, which does not obstruct natural movements of the body. Take it dancing, you won't even feel it's there! Doesn't this kind of device exist already? No. Many wireless monitors exist on the market but their batteries usually last up to a day. to get diagnosed with traditional methods. 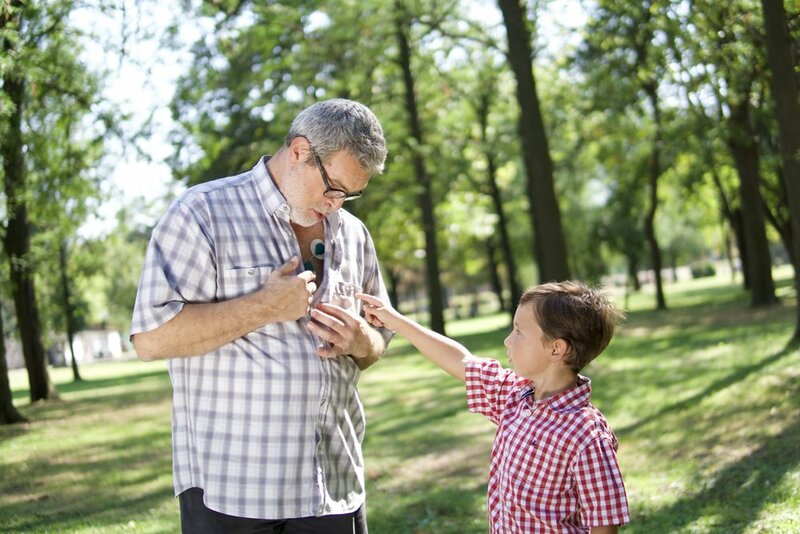 Read the stories of those who have tried heart monitoring with Savvy and ECGalert. I've had a slow and irregular heart rhythm ever since high school. However, with the years the problem got worse. I was scared because I felt that my heart problems were out of my control. It got so bad at one point that I even used my heart problems as an excuse to stop exercising. After using the Savvy Heart monitor for a week, my doctor recommended that I keep my active lifestyle since he concluded that my arrhythmia is not life-threatening. It's incredible that I can check how my heart is doing and consult my doctor all without going to the hospital! After my dad suffered a stroke I searched online for a way to help predict stroke and found the Savvy heart monitor. My parents are of age and live in the countryside. It's difficult for them to visit the doctor on a regular basis, so I thought that this could be a great solution for them. I consulted my friend who is a cardiologist and he said that early detection of arrhythmia is essential for the prevention of a stroke. This finally convinced me to buy the device. So far, my parents have been happy using the device and I feel good knowing that they are able to get fast feedback on their cardiac wellbeing. My doctor suggested I try this device since I could not get diagnosed with any of the traditional methods. I was experiencing dizziness but nothing showed up on my ECG scans. I even wore a Holter monitor for 48hrs but the results were normal. Finally, after wearing the Savvy heart monitor for 5 days, my doctor found that my heart stopped beating for 3-4 seconds and it was exactly at the times at which I was experiencing symptoms. I'm very happy because, at last, I know what's wrong and my doctor has prescribed me treatment. Zio XT is a single use patch that has to be perscribed by a doctor. Savvy can be bought online, has a rechargeble battery and can be used for years! Loop Recorders are an invasive method for heart monitoring and require surgery, while Savvy is a non-invasive method that can be used the same duration as the loop recorder. The main difference between Kardia and our device is that our device is more capable of detecting heart rhythm problems due to the fact that the tech offers long term real time measurement. QuardioCore is best used for sporting activities and short-term monitoring. Savvy, on the other hand, provides real-time long-term monitoring which is a game-changer for those diagnosed with cardio-vascular disease and at risk of a cardiac attack. Our technology provides long-term continuous real-time monitoring. Imagine having the technology of the wired devices from the hospital bed in a discreet sticker-sized device which you can wear in the shower. * We are partially funded by the National Fund of Innovations and Technology Development of Republic of Macedonia.